Whistleblowing is when an employee reveals corporate wrongdoing to law enforcement. What Legal Protections Can Whistleblowers in Canada Expect? While there are increasing incentives from governments and regulators for whistleblowers to go public about corporate misconduct, protections for whistleblowers are still very limited. Few Canadian laws pertain directly to whistleblowing and therefore whistleblowers are mostly unprotected by statute. 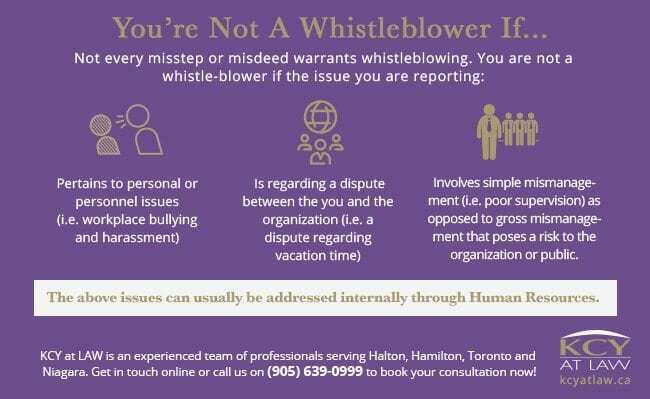 There is, however, a patchwork of protection provisions for whistleblowers under the Canadian Criminal Code, Public Servants Disclosure Protection Act (PSDPA), the Public Service of Ontario Act, 2006 as well as the Securities Act. 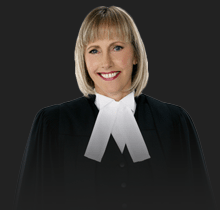 Section 425.1 of the Criminal Code, for example, states that employers may not threaten or take disciplinary action against, demote or terminate an employee in order to deter him or her from reporting information regarding an offence he or she believes has or is being committed by his or her employer to the relevant law enforcement authorities. In short, an employer cannot threaten an employee with negative repercussions to deter them from contacting law enforcement with information about their employer’s offence. Punishment for employers who make such threats or reprisals can include up to five years imprisonment and/or fines. Employees in the federal public sector are protected by the PSDPA. This act demands that employers establish a code of conduct with civil protections for whistleblowers. Ontario’s Public Service of Ontario Act, 2006 has similar protections to the federal PSDPA. Additionally, Ontario’s Securities Act established a new whistleblower program in July of 2016. This consisted of amendments to the Securities Act that give extra protection to individuals who report a potential violation of Ontario securities law. It is important to note, however, that you are only covered by these protections if you bring your information forward to a law-enforcement body. You are not protected if you leak your information to the media. As an employee, you have a legal duty of confidentiality and fidelity to your employer. If you become aware that a superior in your company has committed a serious misdeed, this must usually be reported first to the employer, not the police or a regulatory body. After you have reported the misconduct to the appropriate internal body, your employer doesn’t have to disclose to you what they do with this information. This means that you may never know the results of their inquiry into the reported transgression. involves simple mismanagement (i.e. poor supervision) as opposed to gross mismanagement that poses a risk to the organization or public. The above issues can usually be addressed internally through Human Resources. If you are concerned with the legal implications of corporate or managerial misconduct at your workplace, be sure to speak with an experienced employment lawyer. KCY at LAW can help. Contact us by calling 905-639-0999 or get in touch online for more info!